Revengeofthe5th.net: Show us your nerd cred! Show us your nerd cred! Were you a Star Wars freak before being a Star Wars freak was cool? Prove it! Send us your pics (keep it under a megabyte) of you showing off your fandom back in the day. Send it to us at RevengeOfThe5th@ymail.com and we may feature it here. 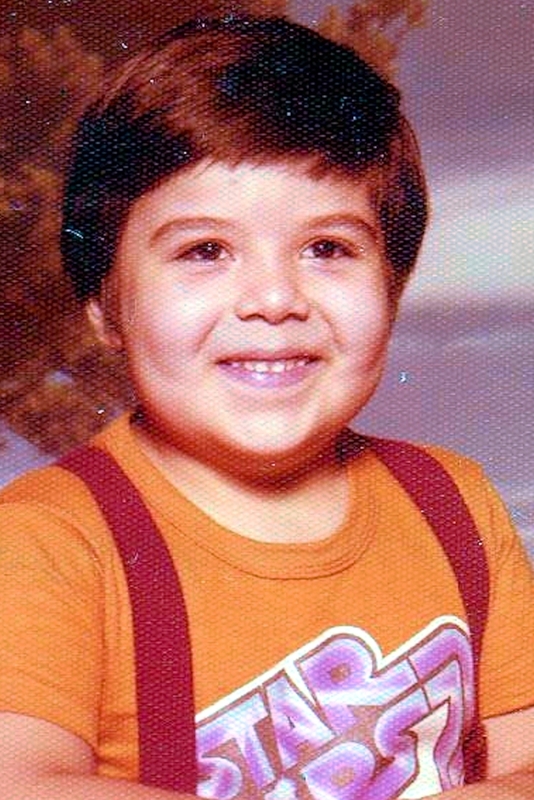 We'll get things started with one of our co-founders, Victor Medina, rocking some Star Wars fashion (with suspenders) back in the 1970s. Nice! I'll have to see if I can find one. I know I have one with me wearing a KISS Alive! shirt like that one. Unfortunately, no suspenders for me. This is the other co-founder of Revenge of the 5th, Eric Shirey.